Jacquelyn Litt is Dean of Douglass Residential College and Campus and Professor of Women’s and Gender Studies at Rutgers University, New Brunswick. She is currently writing a book, Women of Katrina: Crossing Borders, Weaving Networks, and Taking Care which documents the strategies of survival women took to disaster recovery in the Katrina Diaspora. She is co-chair, with Kai Erikson, of the Social Science Research Council Network on Persons Displaced by Hurricane Katrina. Her primary research has been on motherhood, carework, and inequality, and she has many articles and two books on the topic: Medicalized Motherhood: Perspectives from the Lives of African American and Jewish Mothers (Rutgers University Press 2000), which was cited by the race, gender, and class section of the ASA for outstanding scholarship in race, class, and gender, and Global Perspectives on Gender and Carework, with Mary Zimmerman and Christine Bose (Stanford University Press 2006). She was also the founding Department Chair of Women’s and Gender Studies (2005-2011) and Principal Investigator (2007-2010) of “Mizzou ADVANCE,” a $500,00 NSF PAID/ADVANCE award to promote the status of women faculty in STEM at the University of Missouri. 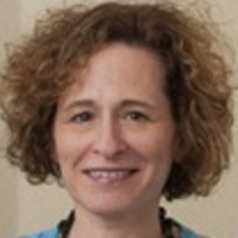 From this project she has published numerous articles on mentoring tenured faculty and established new mentoring programs at numerous universities. She serves as a consultant to NSF ADVANCE grants for faculty women in STEM.